Best Tachy Spot analyses how the number and distribution of known points, i.e. 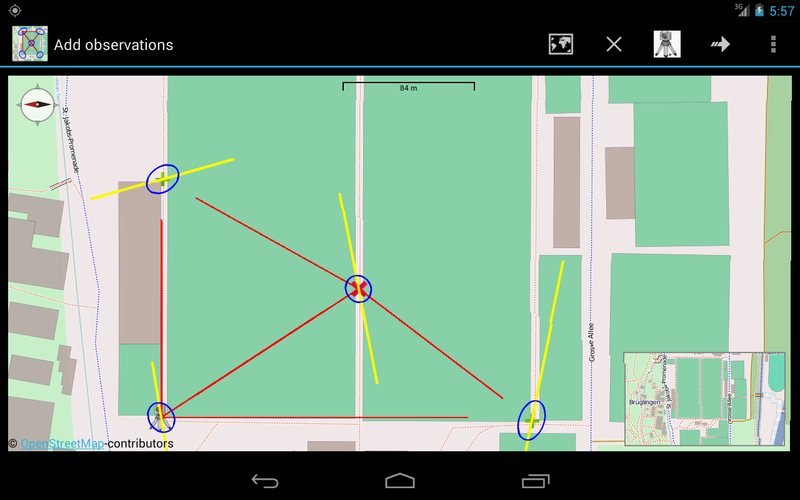 points surveyed by total station, affects the accuracy of a Free Station. You can determine your location with the button (using your GPS position). 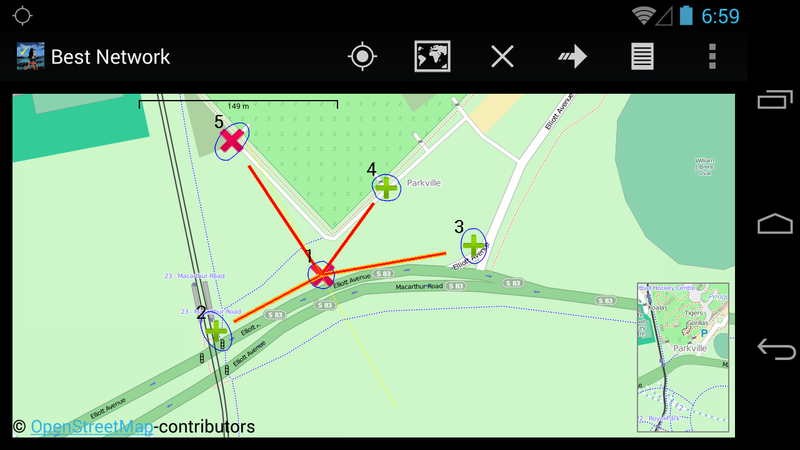 Then click onto map to locate the position of the total station and known points surrounding the instrument point (backsights). The first point is always the station. Run calculations with the button. use this button to open the points and observation windows or Long-press a point in the map to get the dialog window to see the results. Zoom/shift map - use this button to navigate. Add known points - switch between adding points with known coordinates or points with yet unknown coordinates. Add unknown points - switch between adding points with known coordinates or points with yet unknown coordinates. Perform an a priori analysis - run the calculation. 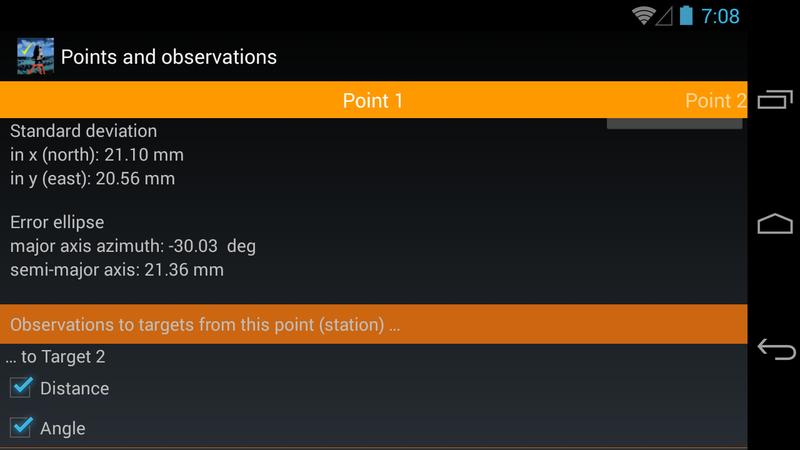 Points and observations - edit and delete points or observations individually. 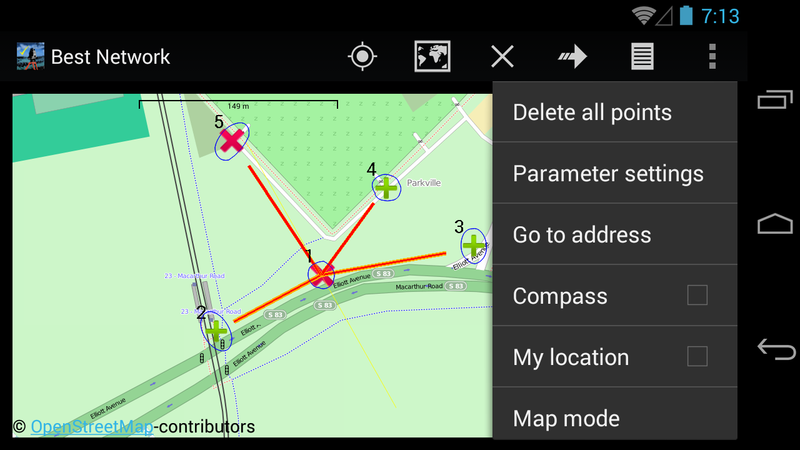 Delete all points - remove the whole network including all points and measurements. Go to my location - show your current location on the map (using GPS). Go to address - show address on the map. Map Mode - choose background map. Offline Mode - stop downloading new tiles (map). Some functions may be hidden in the action overflow. You can reveal a list of all the hidden actions by pressing the overflow button on the right hand side of the screen(or the device Menu button, if available).